Occasionally, a design idea needs to go through several drafts before I feel I’ve gotten in ‘right’. When this happens, I usually rip back to the problem spot (or the beginning) and start again. And yet, with this draft, I couldn’t bear to rip it out. Even though the ribs weren’t lining up properly. Even though the edging wasn’t nearly deep enough. Even though I knew I’d have to knit another one, just to get the instructions right. I cast on for this project one of my last days in Tofino last month. I don’t often knit in garter, but in this yarn (Blue Moon Fiber Arts Mediumweight) on size 3.5mm needles, it feels just squishy and awesome. I wanted to play with a different type of shawl shape, again, to maximize small amounts of yarn and play with pattern and direction. 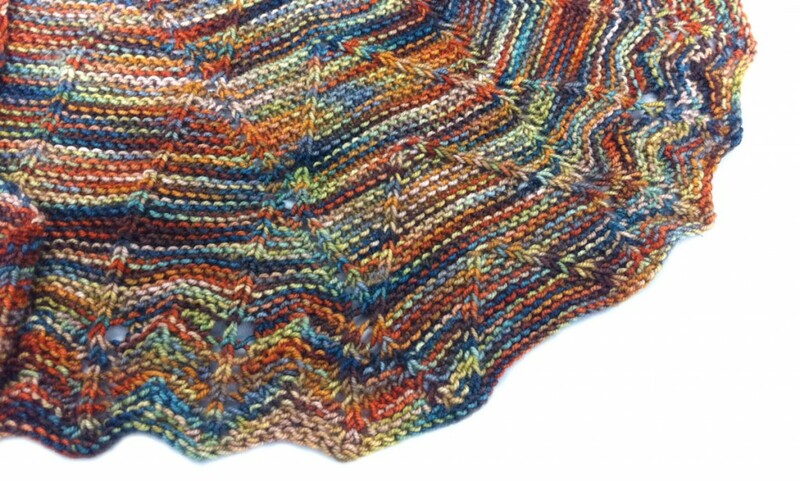 The shawl starts at the neck and works outward, increasing by 6 sts every 2 rows instead of the standard 4 for a regular triangle. I’m using travelling stitches combined with a simple ripple and I absolutely love it. 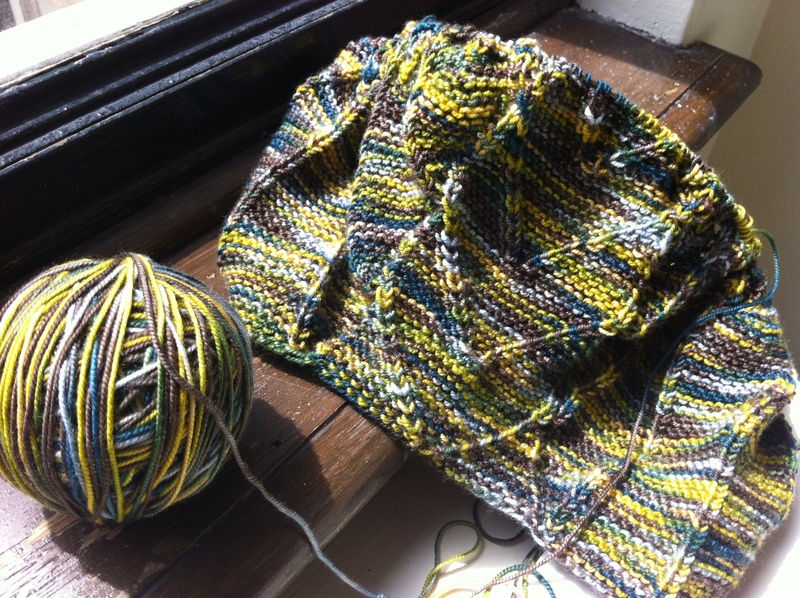 Unfortunately, knitting up the ‘final’ draft has been a bit more problematic. I worked through three or four different yarns and different colourways, and none of them made me as happy as the original – River Rocked. I finally broke down and wound up my precious ball of Loch Ness mediumweight STR. It’s one of the colourways ‘on vacation’ right now, and I’d been saving it for something special. You know. Something exactly like this new design. So, the second draft is well underway, and assuming I can stay up knitting through the entire Jays game tonight (it’s a 10pm start! ), it’ll likely be finished this weekend. It looks beautiful, I love both colorways and the design details. You’re very talented, don’t forget that! That looks really interesting. Looking forward to seeing it finished!